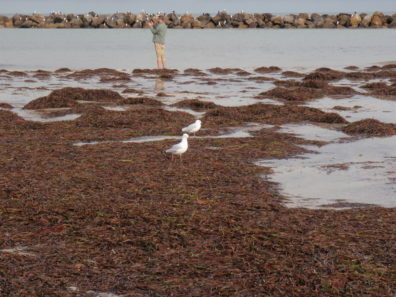 Back to the Breakwater for the Birds | Marine Life Society of South Australia Inc. I returned to the breakwater at Semaphore South today, mainly to search (unsuccessfully) for my lost glasses (during my recent kayak there). I visited the area twice today, once in the morning and again in the afternoon. The tide was still going out in the morning. I had a good look around the beach for my lost glasses. 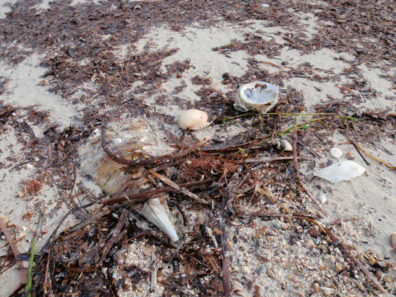 I was often distracted from my task by the birdlife and the beach-washed items. 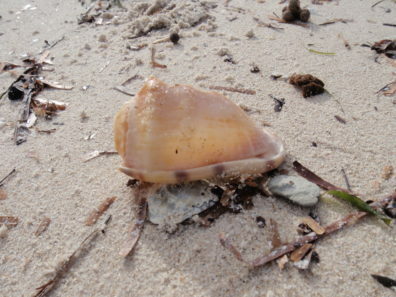 I tried to save what looked like a live gastropod by tossing it into the water. Whilst searching for my lost glasses, I often stopped to photograph the birdlife and items beach-washed on the shore and the breakwater. I’m no bird expert, but I reckon that I saw cormorants (on the breakwater), seagulls, terns, hooded plovers and sooty oystercatchers. 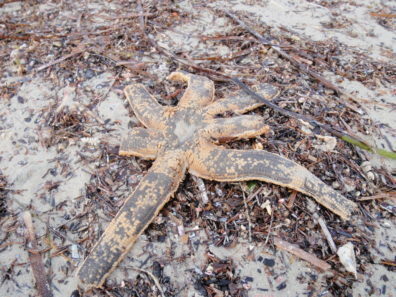 I also came across starfish, shells, sponges, seaweed (& other things beginning with ‘s’). I returned to the breakwater again at low tide in the afternoon. You can get quite close to the fur seals on the breakwater at low tide. 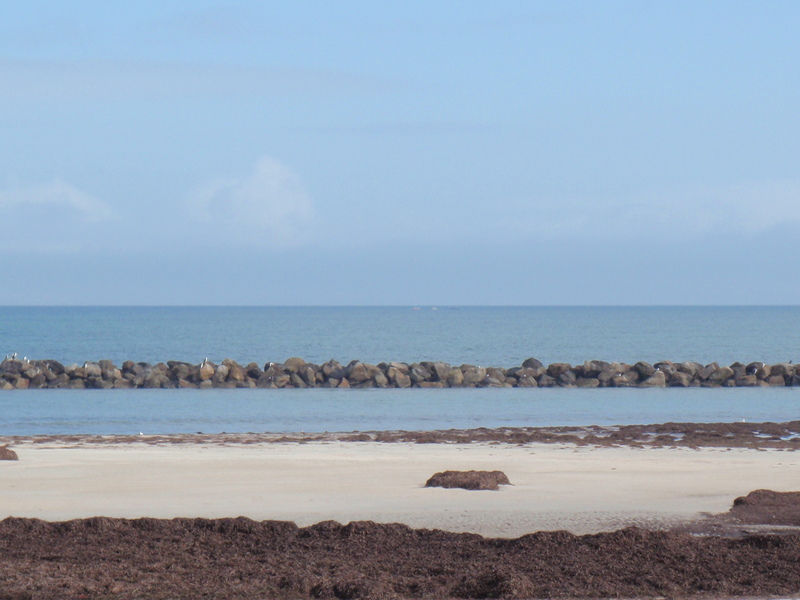 It is also very easy to just walk across the channel to the breakwater at low tide. The depth of the water may be somewhere between ankle depth and thigh depth. I didn’t take my camera with me this time because I needed to focus (no pun intended) more on searching for my lost glasses again. I already had to handle my fins in case I needed to use them. I still didn’t have any luck finding my glasses. I did, however, manage to find a few other items such as plastics, ropes and even a hard hat. 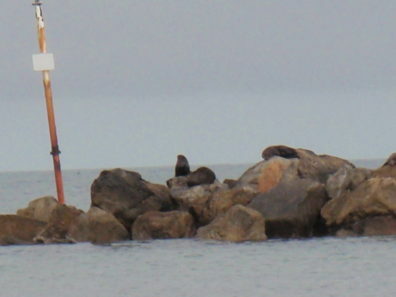 It was a pity that I didn’t have my camera this time because I got quite close to the fur seals on the breakwater. I also saw one of the seals basking in the water. 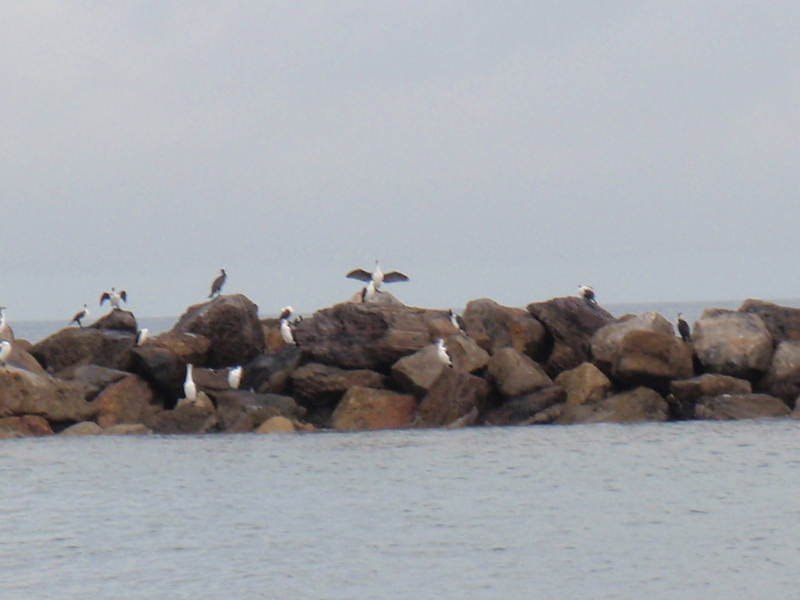 There were many cormorants on the breakwater too. 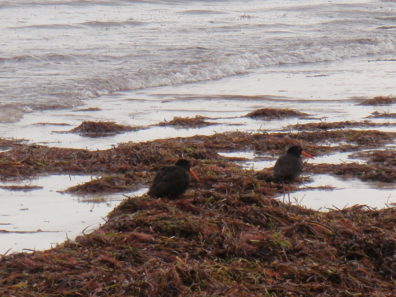 I also saw a few sooty oystercatchers there. I noted that people are not permitted on the breakwater at all. The seals and the birds seem to be allowed on there though. It will be nice to return to the breakwater from time to time and see the seals and the birds again. 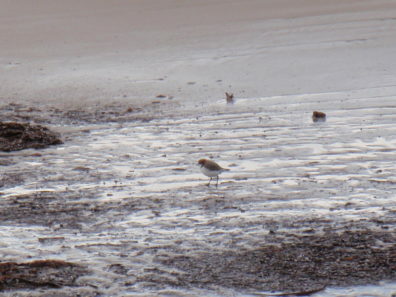 The plovers you photographed there are Red-capped plovers, Steve. 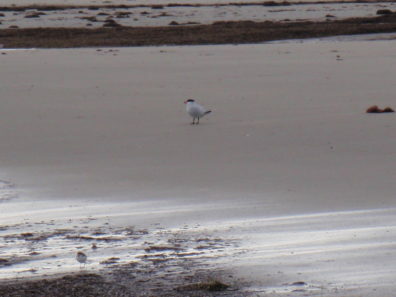 Those are indeed Sooty oystercatchers, and your tern is likely the Greater crested tern which is common here (or potentially a Caspian tern if it has a red beak, rather than yellow). Hard to tell from such a distance. 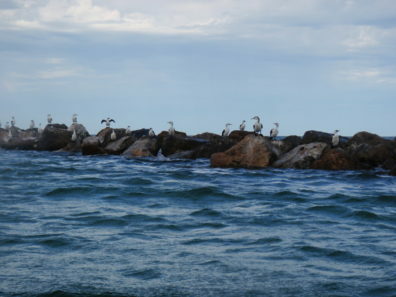 Caspian terns are more solitary, while crested terns tend to flock and socialise more. Pity about your glasses!